Video marketing has been around for many years but recently is picking up tremendous steam. Smart marketers know that it is a critical component to their marketing strategies. In fact, studies have shown that consumers are 64% more likely to purchase after watching a video on a product or service. As the saying goes… seeing is believing! Wrap your video around testimonials and other social proof and BAM instant attraction. 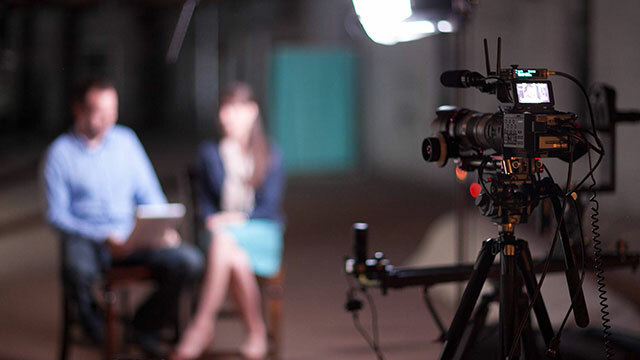 If done right, video can be a power tool to use in your day to day marketing to grow and promote your business but many people shy away from it often thinking it is very complex or costly and worst, they don’t know how to use video in their marketing. 1. Add a video message to your newsletter. The old email newsletter evolved from straight text to colorful designs, now you can replace your editorial section or welcome message with a live video message. This will show your personality and help your audience connect with you faster. 2. Show off your company culture. A great way to give personality to your brand is to show your employees and your offices. Let your customers have a first hand view into your private world and show off your company’s personality by interviewing staff, showing your Halloween Party, Wishing customers a heartfelt Holiday Message. 3. Capture video testimonials. In today’s age of social media, social proof plays an important part in customer’s buying decisions. Have a few of your best customers and partners share their love via a video testimonial and share on your website, your newsletters and social media. 4. Produce a Mini TV Show . Show off your expertise and create a video program where you can provide tips and tutorials. By posting this type of content relevant to your industry, you will quickly begin to position yourself as an industry expert. 5. Create Training Videos. Do you have a customer portal? Or a complex form to complete or an intricate process? You can use video to train your customers. Simply take them through a visual step by step tutorial. Or better yet, create a training program that leads to certification – talk about becoming an industry expert! Video is not going away and doesn’t have to be perfect. Grab your IPhone, some lighting and a good microphone and go at it! Let your customers see first hand just how great you are. The secret to video, is all in the lighting and sound. The team at Wistia have some great insight on their blog. Check them out.